Had a hard night of bringing in the New Year? Did you know that chia seeds, the superfood, have absorbent properties that can soak up alcohol and help reduce hangovers? Well, chia seeds are the perfect thing to enjoy after a night of too much alcohol. 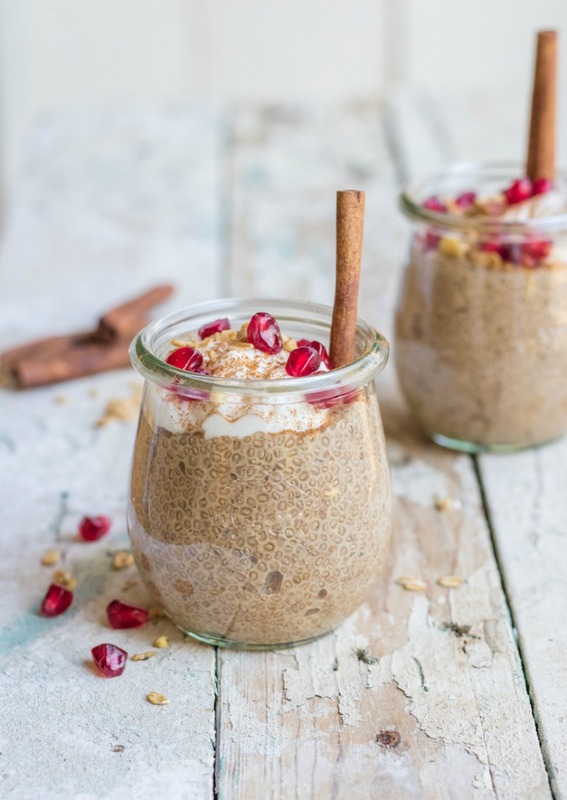 Plus these puddings are super healthy, delicious, and just the snack to kick off the start to your healthy new year. 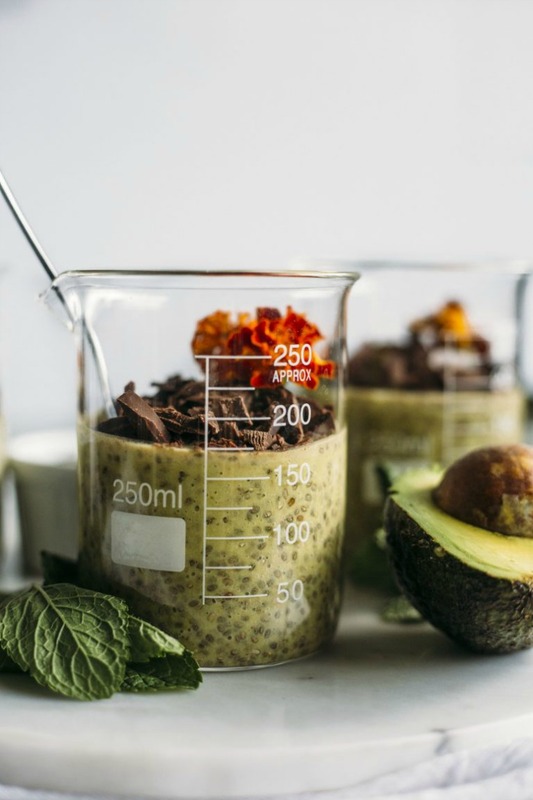 Jessica from Desserts with Benefits has a great recipe that allows you to enjoy matcha in a new way! Say goodbye to lattes and hello to pudding! Filled with matcha and almond milk, this simple recipe brings out bing flavors. 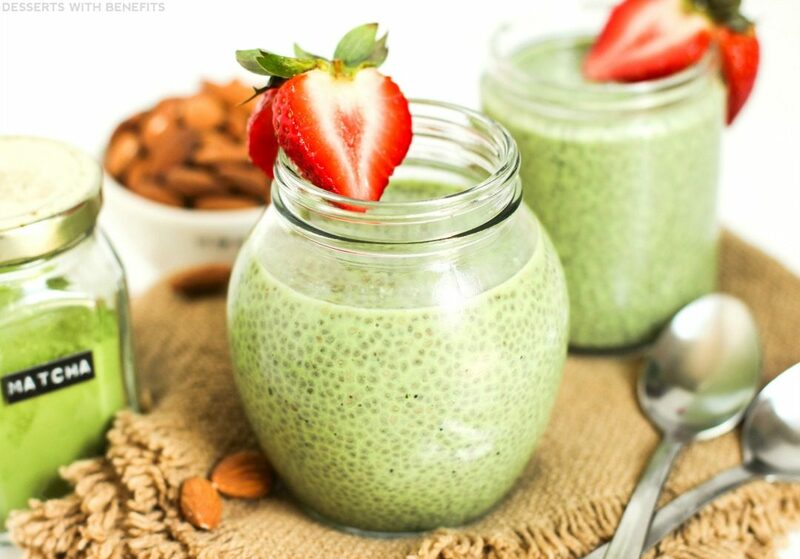 Matcha is a great alternative to coffee, so try this as a snack instead of your go-to second coffee of the day! 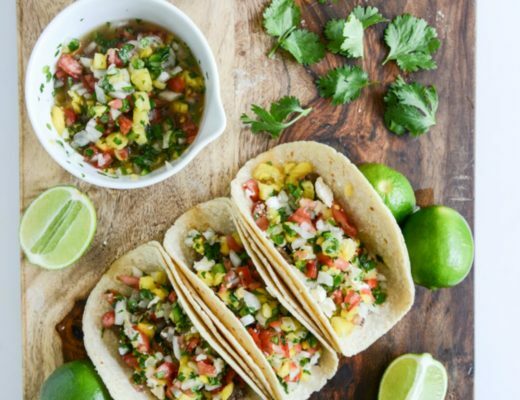 If craving a little tropical flavors for an afternoon pick me-up, then this recipe from Alexis of Hummusapien is just the thing to make! Sweetened naturally with banana and dates, this snack is free of refined sugar and great to keep you going all day! Erin from The Almond Eater has a great recipe for you to try! Full of healthy fats, mint, and chocolate this sweet snack is like eating dessert. 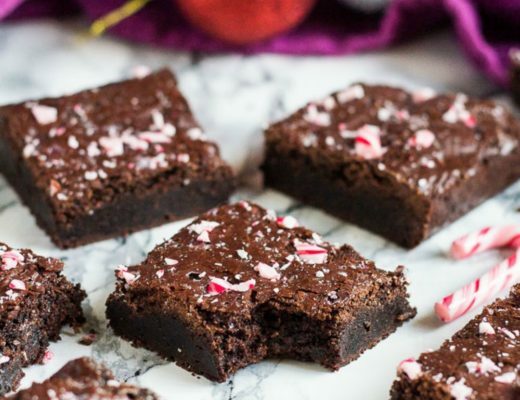 Sweetened with dates and flavored with peppermint extract, this recipe is great to keep the holiday spirit into the new year. Can’t get enough of PB&J? Then try this spin on the classic from Dana of Minimalist Baker. Layered with a homemade berry compote, the base of this recipe has all the goodness of peanut butter mixed in. 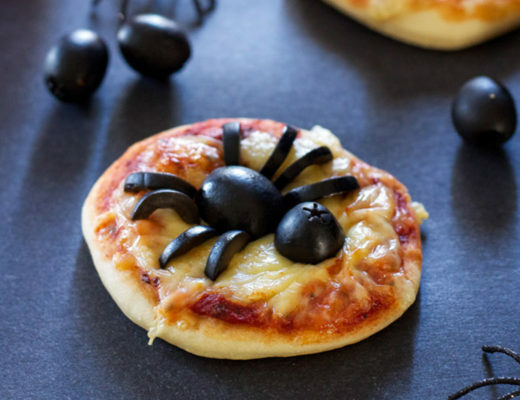 Add a drizzle on top for some extra delicious-ness! Love chai lattes but not the calories? 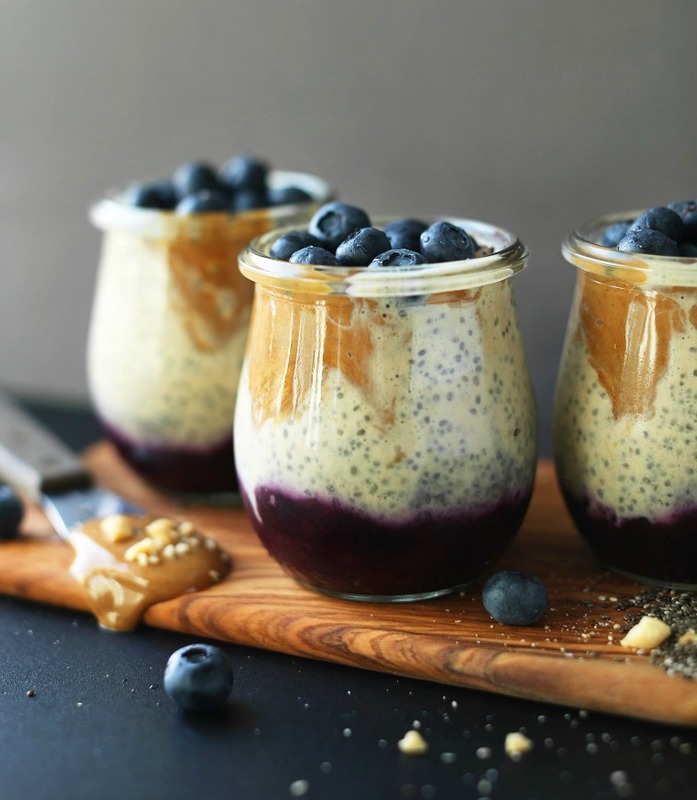 Try this recipe instead for your afternoon pick-me-up from Jess of Choosing Chia. Filled with black tea and warming spices, this recipe is comforting even for chilly days. Try it out! 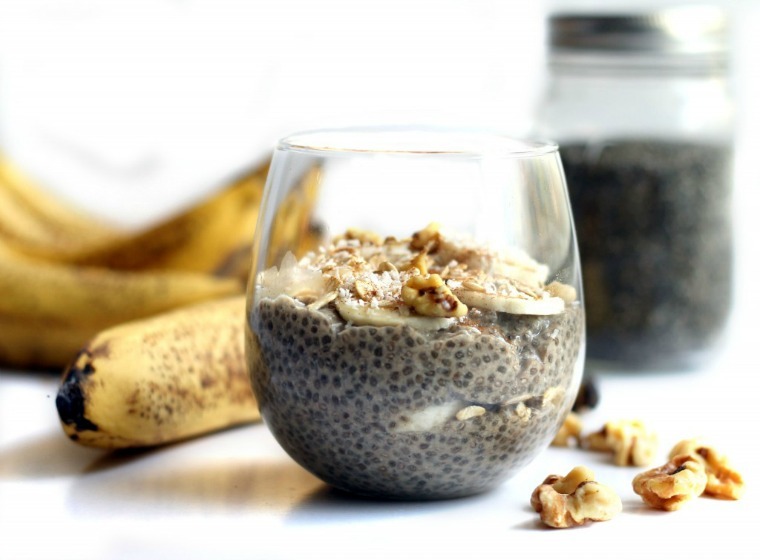 Need a great way to keep track of all these great snacks and chia recipes? Start a shared collection on Cookbook Create and collaborate with your friends and family!